Much like online dating, the matchmaking of brands and customers has entered into the social space with intent to discover, engage, and find compatibility to build lasting relationships. Finding those with like-minded interests and turning them into true advocates for your business has allowed for the greatest win-wins for customers and companies alike. NBA basketball team Atlanta Hawks understood that matchmaking with the right audience happens on and offline. 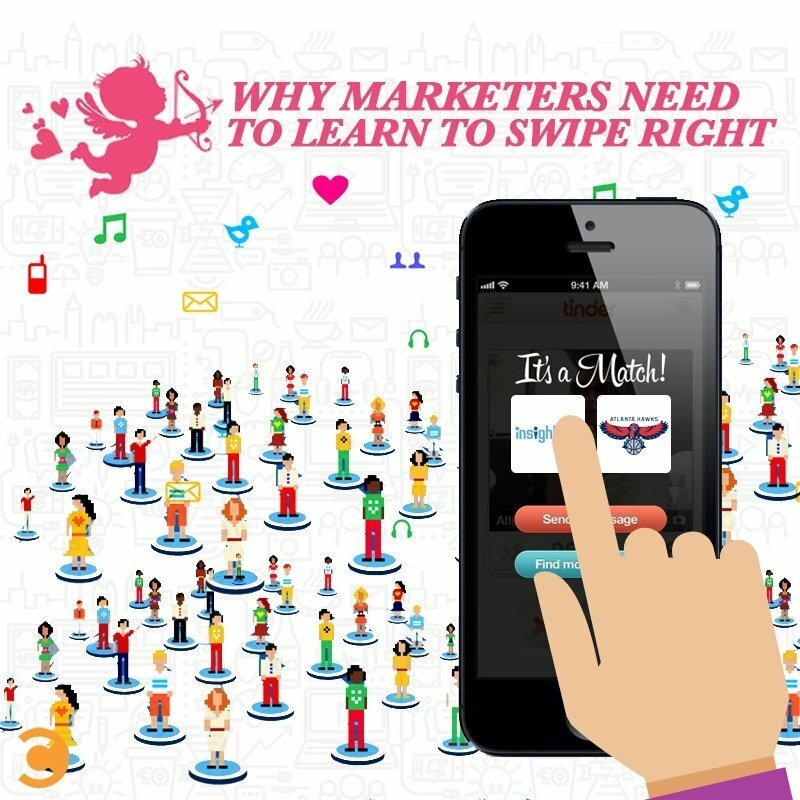 Working with Insightpool, a social sales and marketing platform, they set a goal to get the word out to Atlanta influencers that the Hawks would be throwing a “Swipe Right Night” event which encourages fans to connect with each other using the dating/hookup app, Tinder. Private suites with roses, cocktails, and snacks had fans connecting with each other, sharing their love of basketball, and (who knows!) potentially creating lasting relationships. The event was covered at a range of media outlets from USA Today to The TODAY Show to Sportscenter, and the event was a rousing success, bringing fans together to mingle with each other. The Hawks social campaign targeted influencers in Atlanta, Georgia that have a love of basketball, events, and finding love (or at least willing to meet other Atlanta singles). 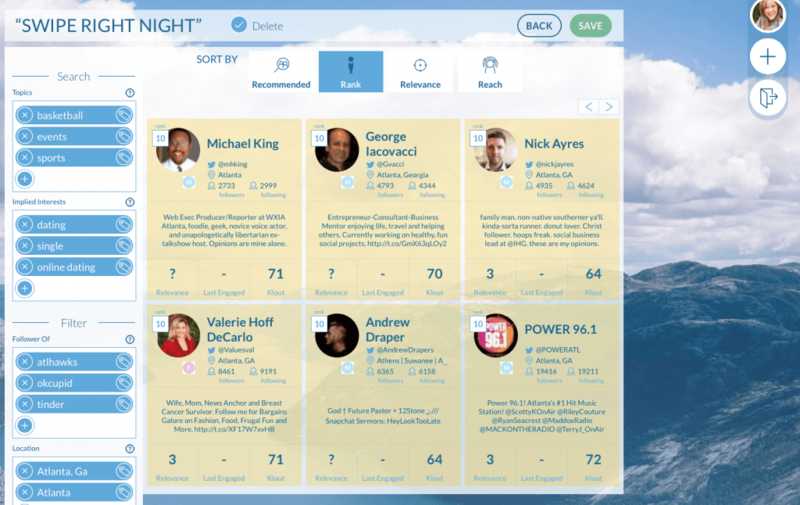 In addition, the Hawks used Insightpool to take a deeper look into how they targeted by identifying who the right prospects are and how to connect and engage with them. Engaging on a personal level was done through common interests, and that engagement was activated into decision-making by inviting them to the event. The success for the campaign was due to specific targeting of the right people as well as engaging them a conversation in an organic and genuine way. What do they bring to the relationship? Don’t waste your time in a loveless relationship. Network reach is still important, but that should mean more than followers. It should mean that they authentically engage and inspire their network. 100 followers that will be interested in your company are more important than 10,000 that won’t be. You like them, they like you. Likewise, it should go without saying that those influencers should actually be interested in your company and in a position to see that you are providing real value for them. They should be people that want to engage with your brand as much as you want to engage them. Find a good conversationalist. Influencer targeting as we know it needs to be turned on its head. The most effective social outreach is about predicting who will be most likely to engage, and who can inspire conversations that convert into the results you’re looking for. Common interests matter. In the digital world, opposites don’t attract. Most advanced social tools or services are now leveraging interest and social graphs to help companies find influencers in their space. But identification is only the starting point. Building relationships are important, but what is even more important is building relationships with the right people. Like the Hawks, your brand can create conversation on and offline around common interest topics by just better understanding your customers. Hillary Byers Settle is the Senior Marketing Manager at Insightpool, the Social Insights and Optimization Platform, enabling innovative brands to leverage social data, find hidden insights and make those insights actionable. She is a digital marketing buff, vintage enthusiast, ultimate fashion junkie, and enjoys building new relationships on social.